1: At the end of August I celebrated one year in Birmingham. It's been full of new experiences, and I have been so much happier than in any living situation beforehand. 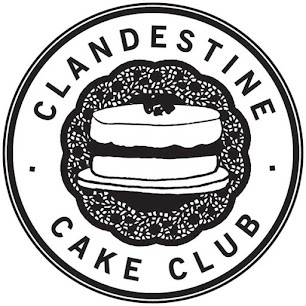 I live alone, have made a bunch of new friends, run my own corner of Clandestine Cake Club and love the city I live in. The city is so vibrant and full of culture. I love that I can walk out of my flat and be in the city centre in a matter of minutes. One day I will dedicate a post to all the amazing independent food and drink around here. Birmingham is such a sharp contrast to my previous home in rural Cambridgeshire. I struggled to break into the tight-knit groups of people living there; everyone knew everyone and, as an outsider, people were generally unwilling to let me in (though eventually I met my two best friends and everything then became easier). The landscape was so flat that you could see for miles, but after a while I realised that all there was to see was farmland, and that is not enough for me. I missed forest. I never thought a person could miss trees. I really feel like I could settle here, which is why this anniversary is worth celebrating; I hope it is the first of many. 2: On 8th October, this blog will be five years old! I can't believe that I have continued this through a large chunk of my Chemistry MChem degree, moving house four times and relocating around the UK twice. To you this might be a fun baking blog full of boozy and inventive recipes (or that's the general theme I've gone for), but to me it is both a recipe book and a place where I can look back and relive memories. I regularly refer to this site when baking a favourite cake, or when I make an icing I haven't made in a while, and I always enjoy reading through the post to see where I was in my life when I wrote it. I admit, I have pared back on the recipes this year - a big drop, considering once I actually posted something at least once a week - but I still enjoy blogging when the mood strikes me. When a cake is blog worthy, you will still hear about it! Altogether, in my time running Cake Of The Week I have written 260 posts. My very first post, Flapjacks, even included a segment called "Don't Make My Mistakes!" - I still make mistakes. I am not a perfectionist; I would class my technique as more "slap-dash", so yes, mistakes happen. Learning how to cover them up, or avoid them in the future, is all part of the fun of baking. For me, baking has always been about doing my own thing and following only the basic rules to ensure that I still make what I am trying to make. This Anniversary Cake was as much a scientific investigation as it was a celebration. I've noticed that the sour cream in my Chocolate Fudge Cake creates this delightfully fluffy sponge, and milk has never come close to producing the same texture. So, when I had the time and will to make a three layer cake, I did a bit of an experiment. I used the same base recipe for all three layers, but I used a different ingredient to wet each cake: whole milk, sour cream and Greek yoghurt. The results were incredible! As you can see, the milk cake rose much less than the others. The Greek yoghurt cake rose well, but then collapsed into a more dense version of itself upon cooling. The stand out winner was the sour cream cake, which both rose well and held its shape as it cooled. This marks my conversion to using sour cream in every cake recipe from this point onwards, though I will stress that every cake was still delicious. The take away point here is that this is a cake worth baking. I used 7" springform tins to make a standard cake batter stretch into three layers, but a standard two layer cake made from 9" tins will look just as sensational. Get yourself some edible glitter! It makes everything better! Adding 50mL tequila to the batter wouldn't go amiss either. Preheat the oven to 200C/180C fan. Line three 7" springform tins with baking parchment. First, make the cake. Cream the butter and sugar together until light and fluffy. Beat in the sour cream until well combined. Sift the flour and baking powder into the batter and fold in until well combined. The batter should have a soft dropping consistency. If not, add a little more sour cream at a time and stir well before checking again. Leave the cakes to cool completely, then remove from their tins and discard the baking parchment. Meanwhile, make the French Cream Cheese Buttercream. Put the egg yolks and caster sugar in a heatproof bowl and place over a pan of boiling water, ensuring that the bottom of the bowl doesn't touch the water. Use a whisk to stir the yolks and sugar together until the sugar has almost completely dissolved into the yolk. Immediately transfer the mixture to a mixing bowl and whisk until the mixture is pale and has doubled in size. Chop up the butter into small cubes, and whisk these cubes into the yolk mixture one at a time. Ensure that each cube has completely blended into the mixture before adding the next. When all the butter has been added you should have a rich buttercream. Now whisk in the cream cheese until fully combined. Decorate the cake by spreading a couple of spoonfuls of the buttercream over the top of a cake layer, then covering it with blackberries. Cover with the next layer and repeat. When the third layer is on top, cover the whole cake with the remaining buttercream and then decorate with the remaining blackberries. It's so interesting to see the effect that different ingredients have on cakes! I know! I had no idea that it would be so drastic.